Wicked Mint! | Food It Yourself! 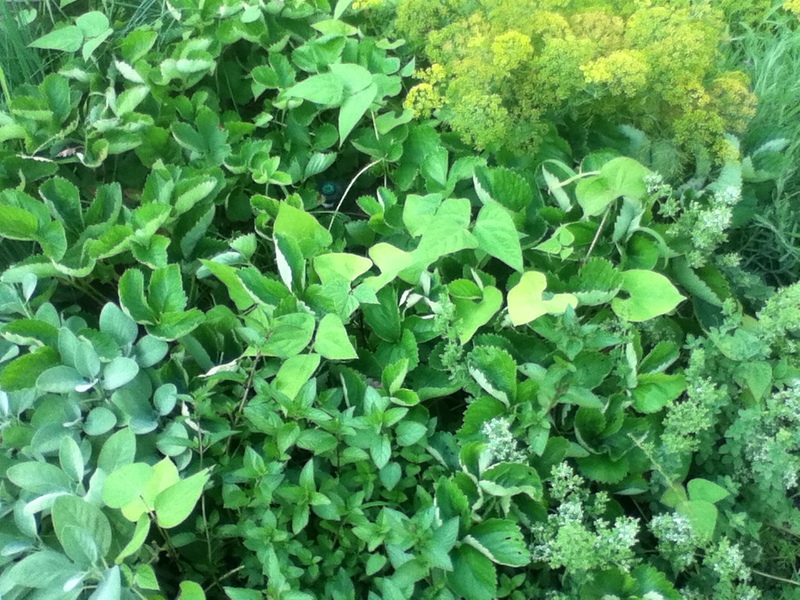 As I mentioned before, my herbs will not quit this summer. Thankfully, fresh herbs are delicious and I have been cooking with them. Also, fresh herbs are seriously easy to preserve. You can freeze them or dry them. Drying can be accomplished several ways. One way uses an oven, as described by the Idiot’s Guide website According to the King Arthur Flour people you can get excellent results with a microwave. I may try that some time. However, Mr. Food It Yourself and I decided to try this method, which we first witnessed on the cooking show Good Eats: https://www.youtube.com/watch?v=wLCmxKs4oXU. If you type “box fan dehydrator” onto you’ll favorite web search engine you’ll find plenty of people demonstrating how to make and use one of these. First, I had to decide which herb to start with. 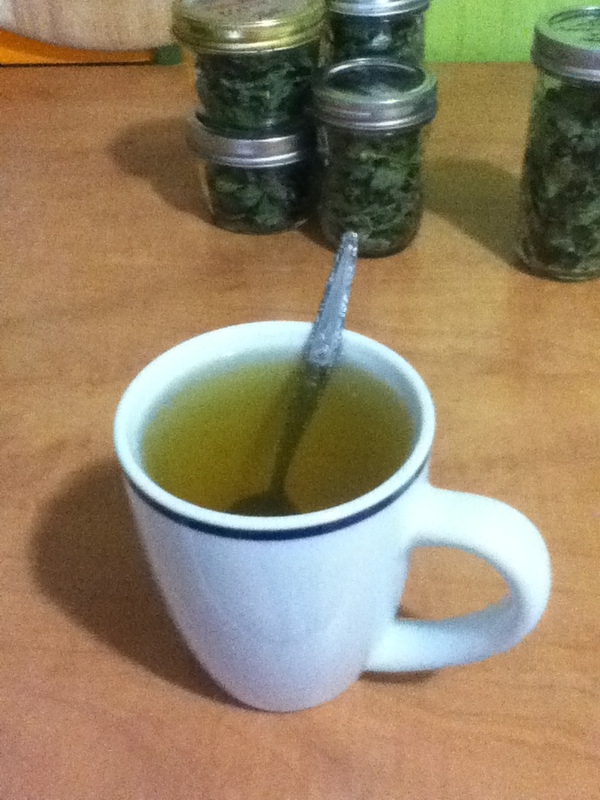 Since I only use mint in the dried form for tea I decided to start there. To the garden! 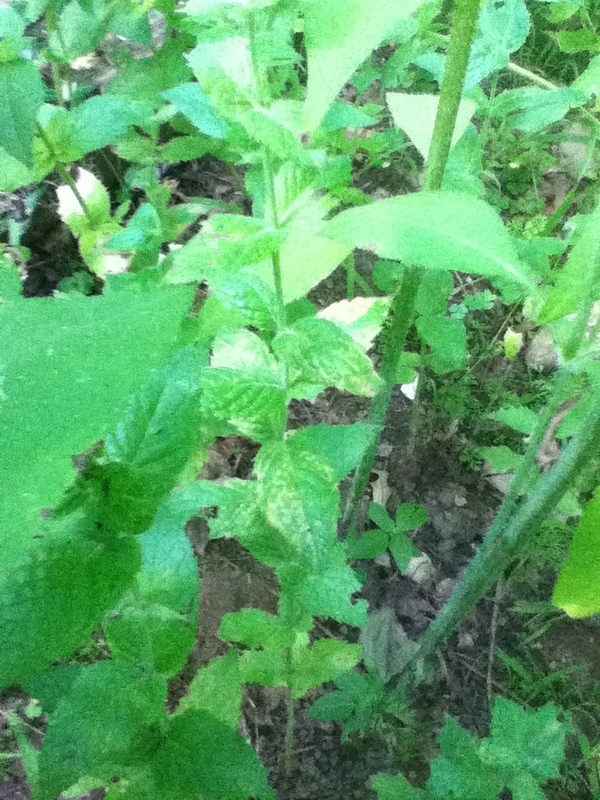 The peppermint is in the lower right hand corner of this mound of green things. Trust me. I planted it there! 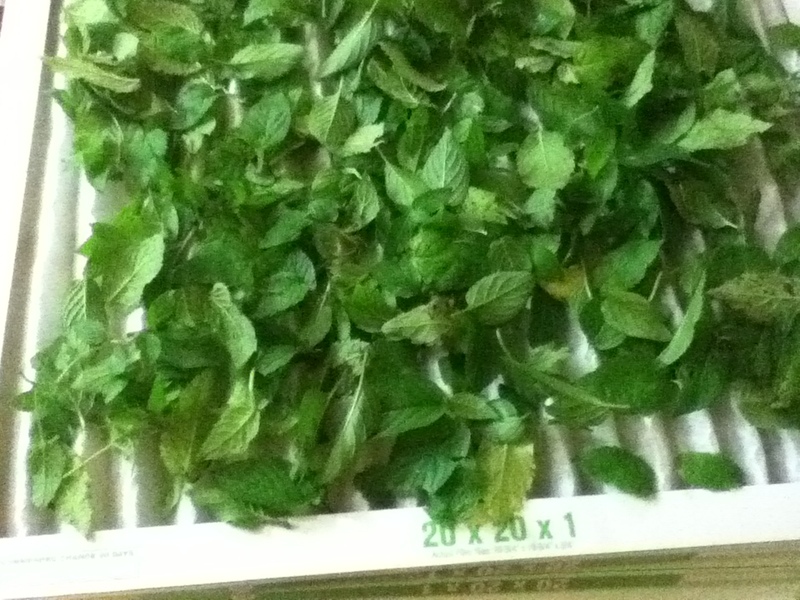 Then I remembered that I have a spearmint plant, also. How did I forget the spearmint? It is behind this massive wall of sun chokes. 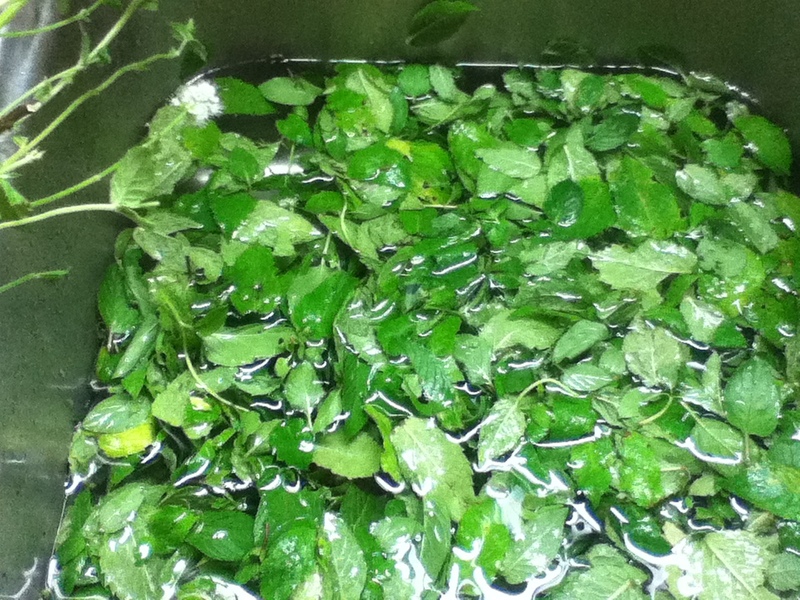 I stripped the leaves from the stems and gave them a really good soak in cool water to remove any dirt or bugs. Then I gave it all a good spin in a salad spinner. I spread the leaves on furnace air filters. I had enough for two layers. Here it is! 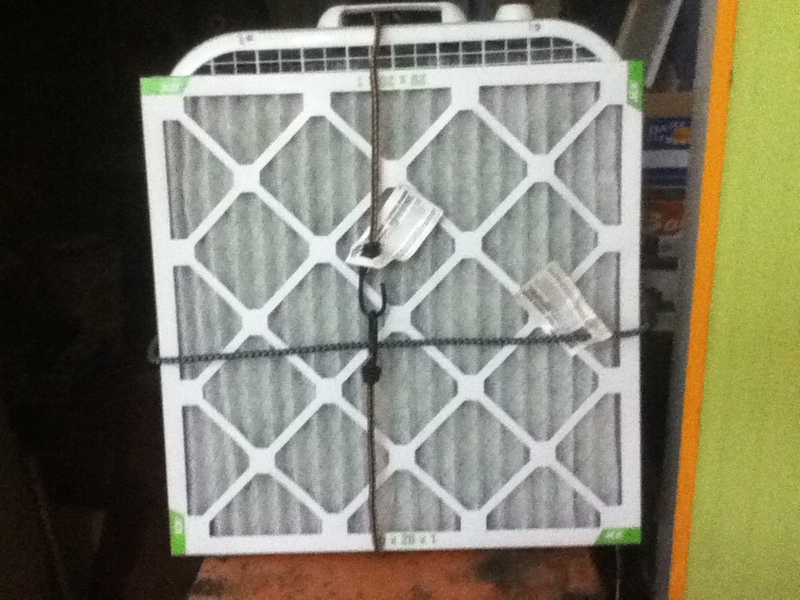 A food dehydrator made of furnace filters and a box fan. Note the industrial chic bungee chords holding it all together. It took a good 2 days but I got the leaves nice and crispy and dry. I packed the leaves into unoccupied canning jars, which will live in the cabinet all winter. You really do need to store your dry herbs in a dark place. Light can break down the essential oils that give them their flavor. Finally, I had to have a taste. I steeped mine for about 5 minutes. The smell really carried across the kitchen. It’s really good! I’m glad I remembered the spearmint. It’s taste kept the “grassy” flavor down a little. I will have to make sure I keep at least one jar around until Christmas- with just a touch of sugar it tastes like drinking a candy cane. 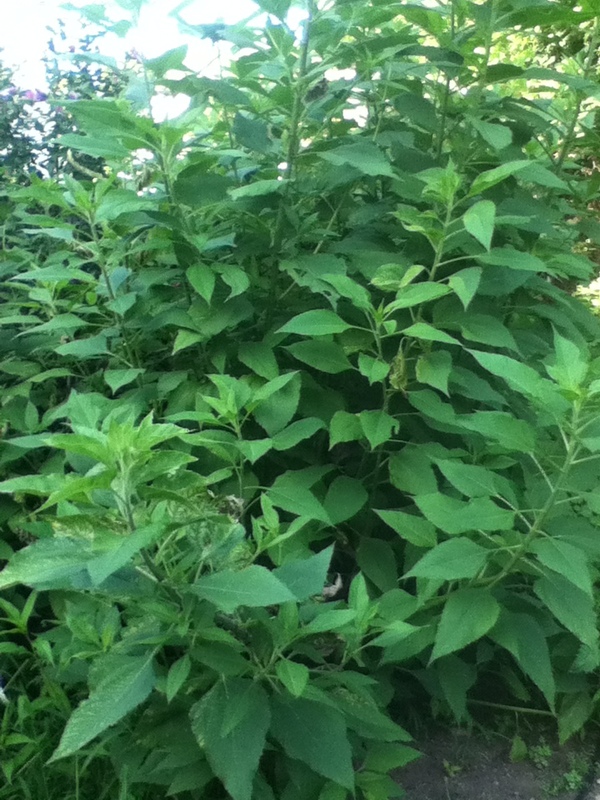 Got some herbs in your garden that have gotten huge? Did you buy more of a fresh herb than you can use? You can always dry it for later. Give it a try!